Whenever I jio my friends for a meal in the West, Choa Chu Kang is not a neighbourhood that immediately springs to mind. 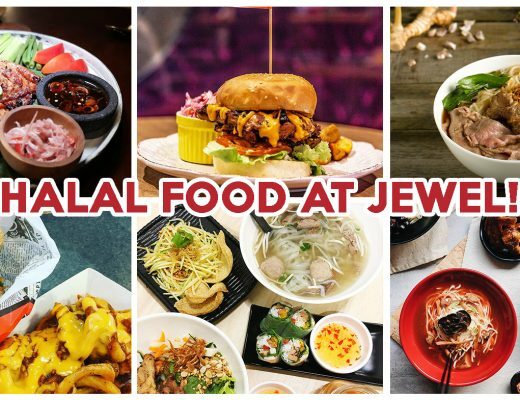 Yet, hidden within its charming rows of old-school HDB flats, is a myriad of affordable food options, which the estate prides itself upon. 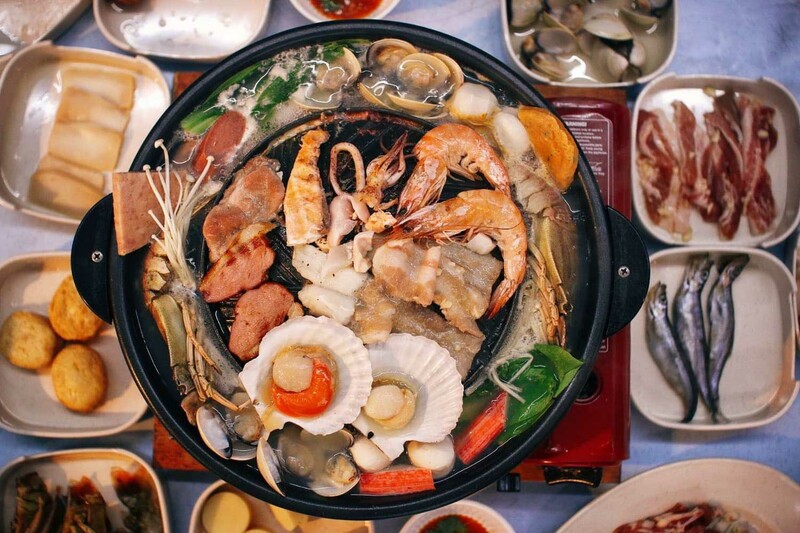 Here are 10 Choa Chu Kang food spots worth visiting if you are in the district! Jub Jub Mookata is a great option to satisfy your latest Mookata cravings without burning a hole in your wallet. A platter for four sets you back $40, with sides such as Smoked Duck Breast and Marinated Pork Belly. Jub Jub Mookata also serves Slipper Lobsters ($4.90) and Shishamo ($2.40). A must-have side is their Minced Pork ($2.90), beloved by many for its delightfully tender texture. Jub Jub Mookata is not a halal eatery. Kam Par Claypot Bak Kuh Teh and Chicken Rice is a go-to place to cure your claypot cravings. 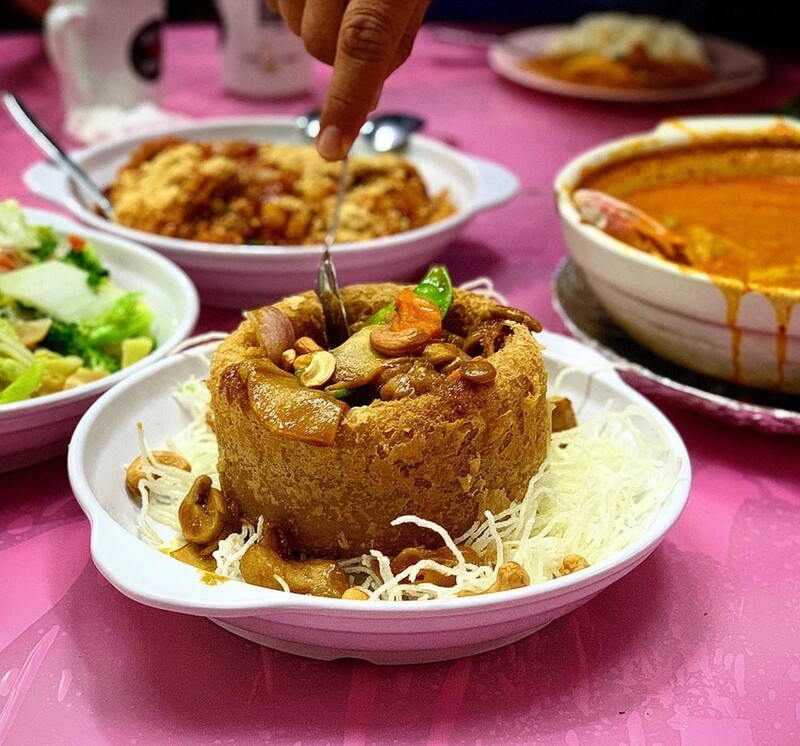 Their Claypot Bak Kuh Teh ($6/$12/$18/$24/$30) is thoroughly infused with flavours from pork ribs and offal, leaving you instinctively reaching for a second scoop. 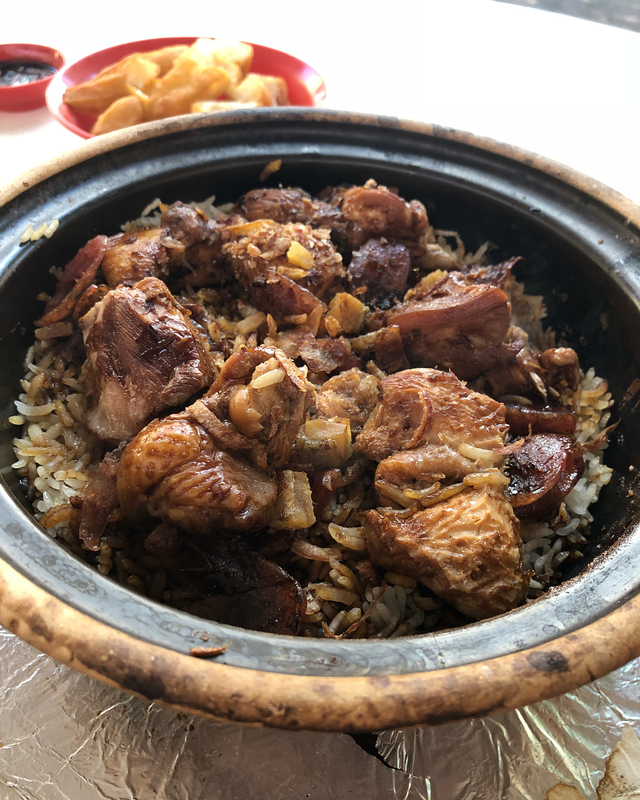 The fragrant Claypot Chicken Rice ($6.50/$12/$15) delivers a robust flavour, owing to a potent combination of salted fish, dark soya sauce and sesame oil. 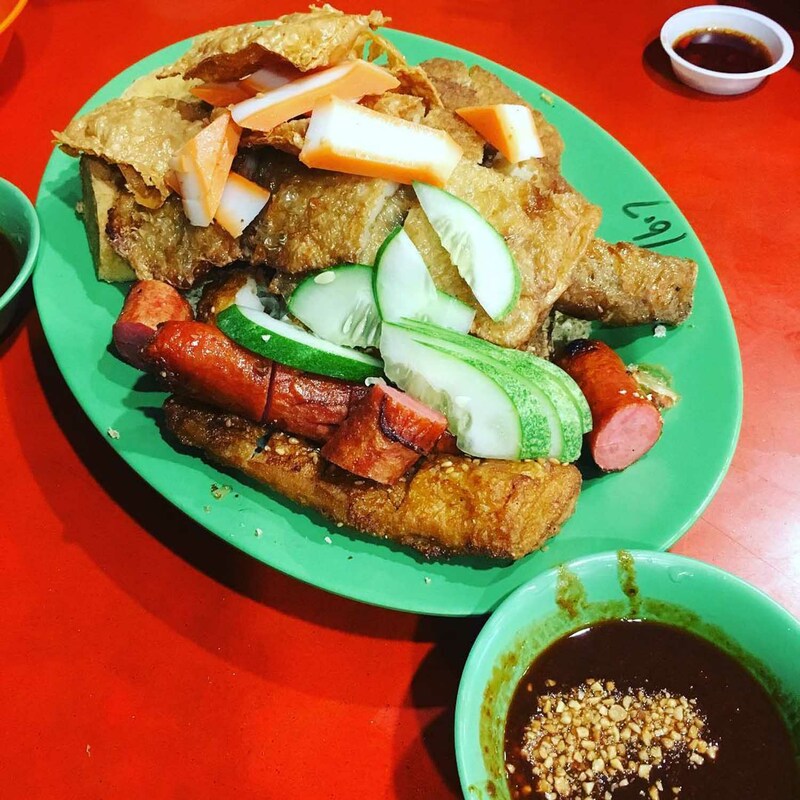 A stone’s throw away from Choa Chu Kang MRT Station, CCK 302 Foodhouse is a 24-hour joint famed among local residents. 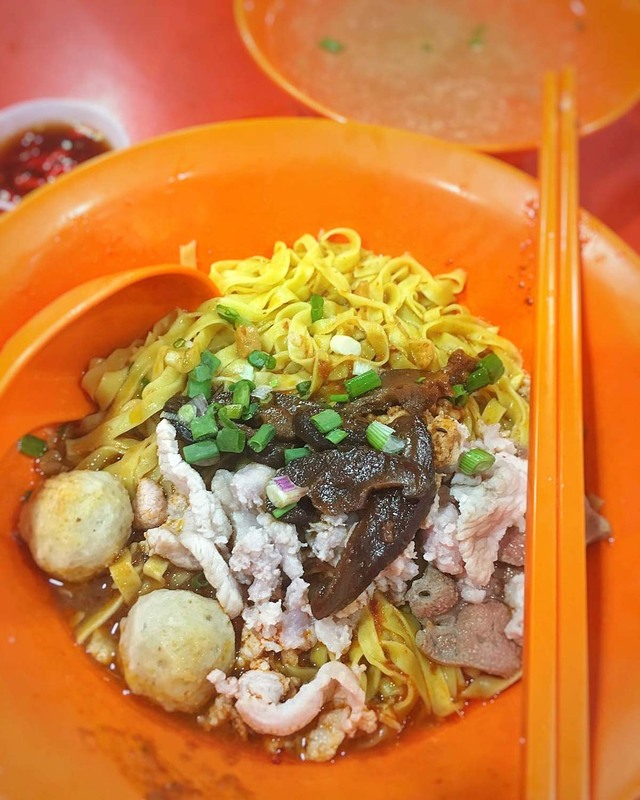 The springy mee pok and generous portions of minced meat of their Bak Chor Mee ($3.50) have earned it a loyal following through the years. Their sambal chilli, combined with a dash of vinegar, adds flavour to the noodle’s taste without being overwhelmingly spicy; perfect for those with a low spice tolerance. 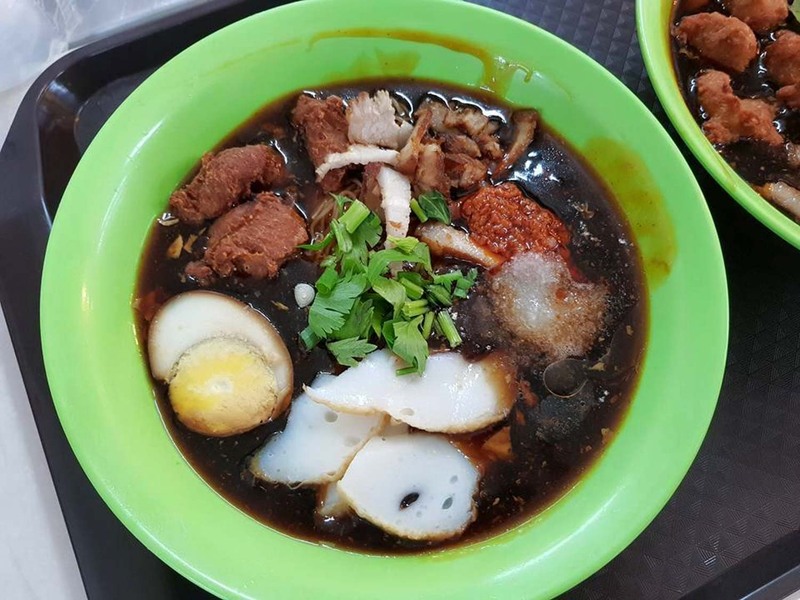 CCK 302 Foodhouse Bak Chor Mee is not a halal eatery. Another favourite at CCK 302 Foodhouse is Hock Lian Huat Ngoh Hiang Prawn Cracker. Their crunchy Prawn Crackers ($2) create a strong crackle the moment you sink your teeth into them. Infused with a buttery shrimp flavour, they complement the tangy sweet dipping sauce. Their house-made Ngoh Hiang ($1) is stuffed to the brim with minced pork, providing a firm texture, unmatched by factory-made ones. Hock Lian Huat Ngoh Hiang Prawn Cracker is not a halal eatery. Under the third generation owners of the acclaimed Feng Zhen Lor Mee, Ah Ma Lor Mee delivers a hearty bowl of noodles which instantly impresses. 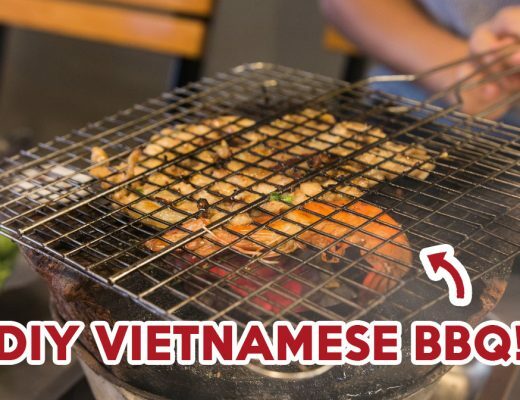 Those going for the Traditional Lor Mee ($3.50) will find a generous serving of noodles, accompanied by house-made pork balls, fish meat, and pork belly. Their gravy, slow cooked for long periods of time, is reduced to an ideal consistency. Ah Ma Lor Mee is not a halal eatery. Hong Kiat Seafood Restaurant serves up zi char dishes at affordable prices in a comfortable, al fresco setting. The stall offers local favourites such as Yam Ring ($18) and Curry Fish Head ($25). Pork enthusiasts must try their Thai Style Pig’s Trotter ($25), which features a fried pork trotter coated in an enticing sauce mix of red chilli, shallots, onion and lime juice. Hong Kiat Seafood Restaurant is not a halal eatery. For those searching for a temporary respite from the blazing hot weather, Sticks N’ Stones is an ice cream haven offering 14 different flavours, from Mao Shan Wang to Taro Coconut. 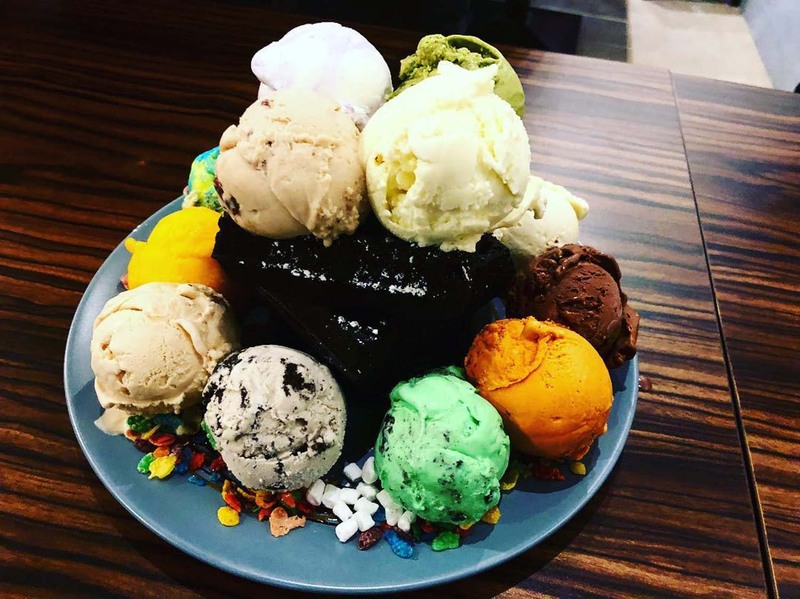 Their most popular dish, the Special Frostbite ($32.80), is a decadent treat serving a mountain of all 14 scoops of ice cream. 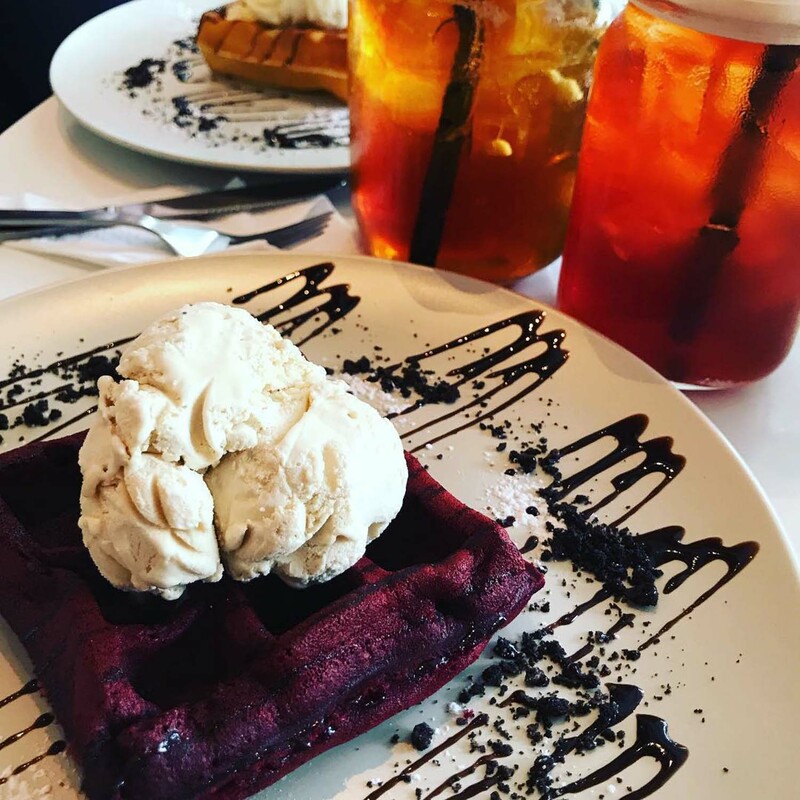 It comes with three different types of waffles, namely Red Velvet, Charcoal, and Original. Sticks N’ Stones is a halal eatery. Located directly opposite Keat Hong LRT Station, HEY SUGAR is one of the few cafes that sprouted in Choa Chu Kang’s forest of HDB flats. With its All Day Set Menu ($9.90), which comes with a single waffle, ice cream, and ice brewed shaken tea, the cafe is an ideal retreat for any. Unique flavours worth trying include Gula Melaka ($3.80) and Honey & Figs ($3.80). HEY SUGAR is a halal eatery. 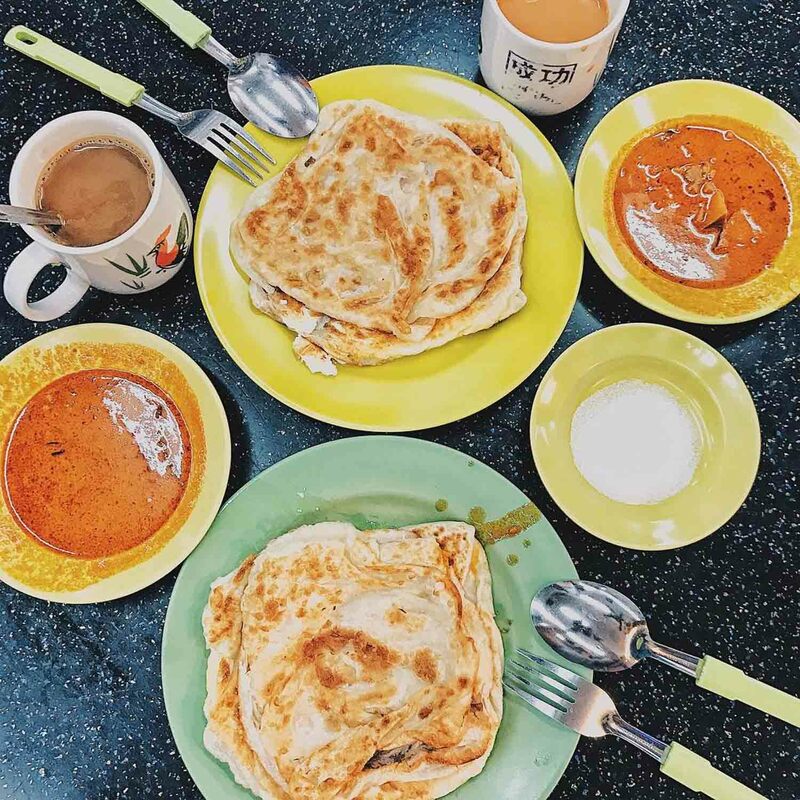 Despite being located in a more secluded corner of Choa Chu Kang, Tasty Roti Prata at Berjaya Eating House is beloved by locals for its scrumptious prata at reasonable fares. The prata is both fluffy and crispy without being overly greasy. If you aren’t a fan of their Plain Prata ($1.10) or Cheese Prata ($2.00), Tasty Roti Prata offers Plain Thosai ($1.50) and Masala Thosai ($2.50) as well. Tasty Roti Prata is a halal eatery. Having frequented Blk 143 Coffee Shop Carrot Cake since young, the stall occupies a special place in my heart. 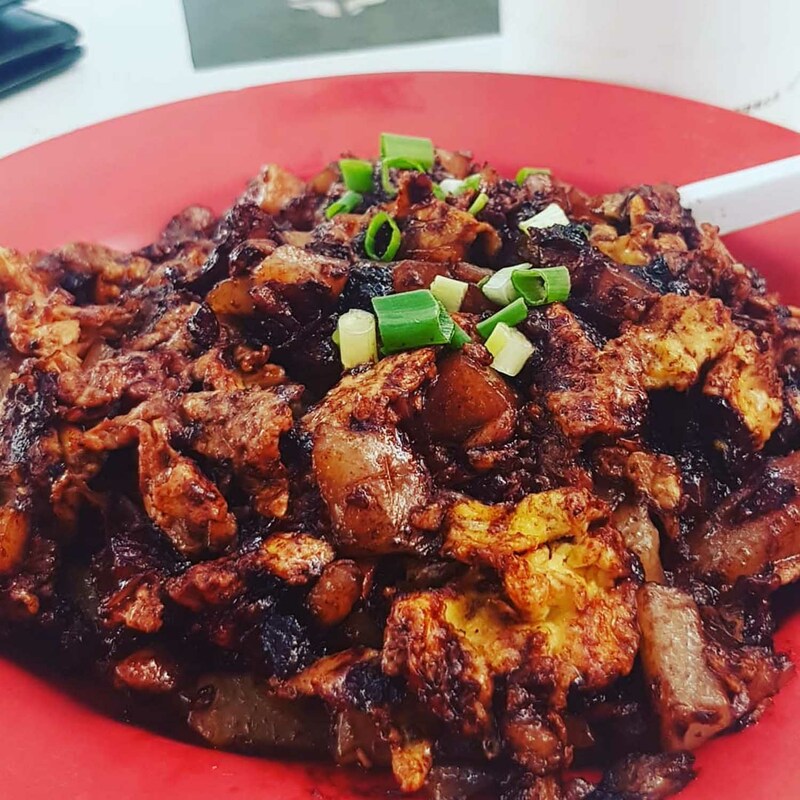 The flavours of the chye poh and sweet soya sauce are evenly distributed across its Black Carrot Cake ($2.50/$3), allowing every morsel to deliver a smooth injection of sweetness. For fans of White Carrot Cake ($2.50/$3), fret not as the White Carrot Cake is just as well-cooked, leaving you delighted with its silky smooth kway, lightly seasoned with fish sauce. Blk 143 Coffee Shop Carrot Cake is not a halal eatery. 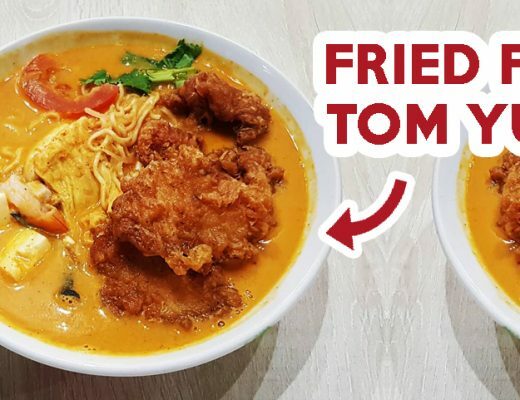 Give these Choa Chu Kang food gems a try the next time you are in the neighbourhood for its affordable and quality options! Drop us a comment if we have missed out on any great food spots in the area. Llamas are friends, not food.